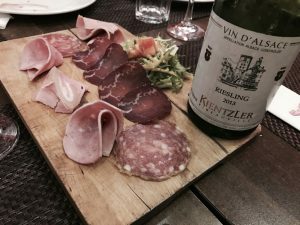 1st wine pairing article ! ? Decembre has arrived, cold and snowy days as well, but most of all, winter food… Like a good cheese Raclette ! 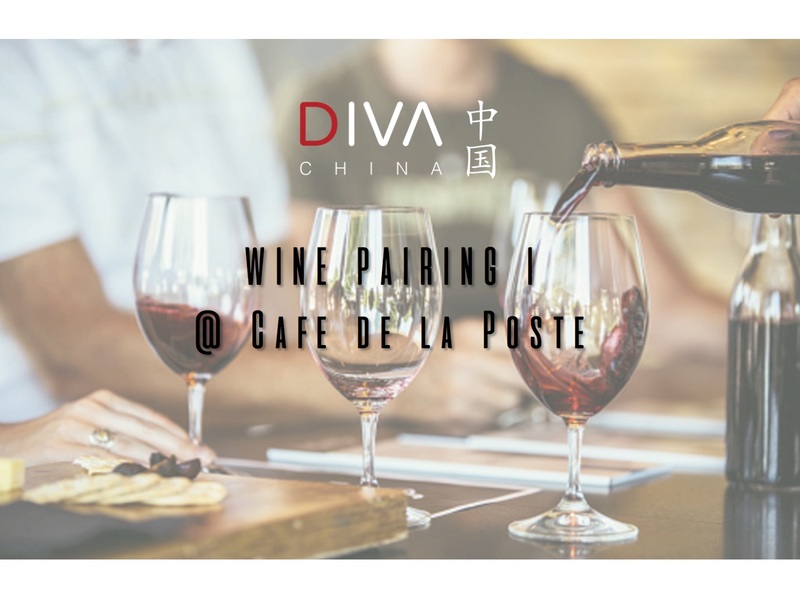 The Café de la Poste, Beijing, a French bistro situated in the Lama Temple Area, is proposing every monday from 6 PM their “Lundi Raclette“. 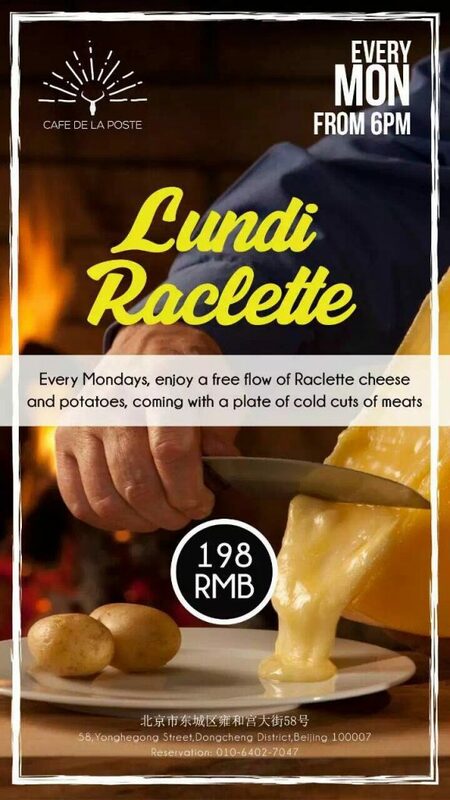 A free flow of Raclette cheese and potatoes, coming with a plate of cold cuts of meats. How could we have missed this opportunity ? – Les Quarterons – St Nicolas de Bourgueil, Agnès et Xavier Amirault Vignerons. 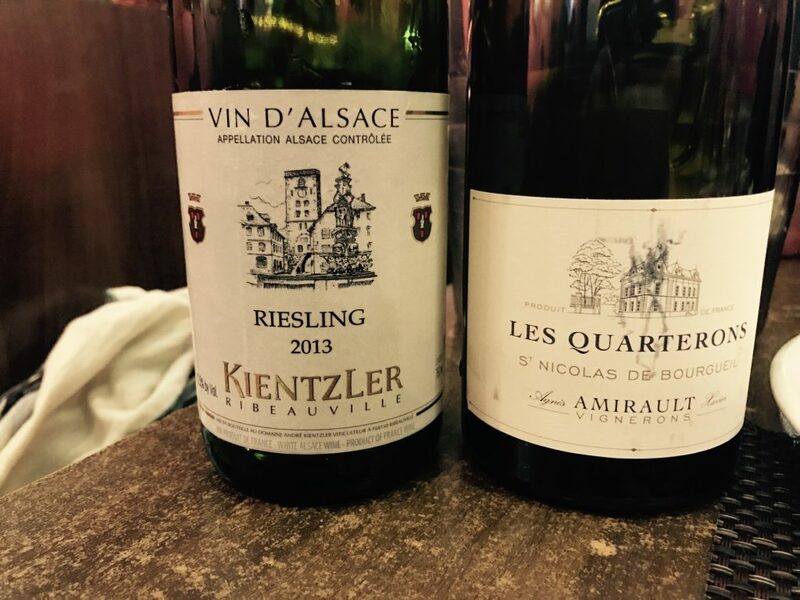 The Riesling, from the Domaine André Kientzler in Ribeauvillé, is a distinguished wine by its purity, complexity and depth. It has generous, attractive and expressive aromas of warm apples, rubber, candy and acacia. Rich, fruity, form but ripe acidity and perfect balance. Les Quarterons wine from the Amirault family is linked directly to the Clos des Quarterons where the familly has lived for over 180 years now. For almost two centuries, six generations have paced the vines and guides the wines, respecting the work of their predecessors and making quality their priority. With its raspberries and spices nose, the mouth of Les Quarterons is distinguished by a gourmet texture of light and sapid tannins, fresh and fruity to the finish. Great with great, these two wines where perfect match to our Raclette. The structure of both of these wines stands up to the richness of the cheese, and at the same time, the chesse richness and fat served to soften the impact of the wine’s tannins. Stay tuned for next month’s wine pairing ! What country gastronomy would YOU like to discover ? Tell us in comments ! 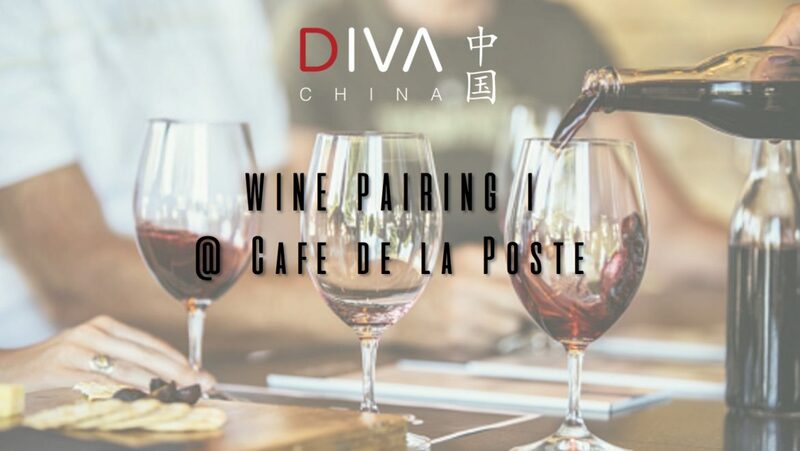 Special thanks to the Café de la Poste for their outstanding service.